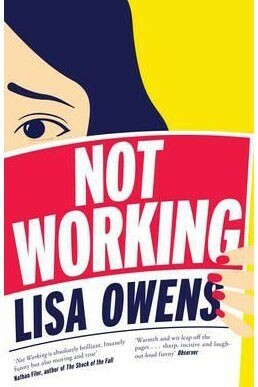 Book review: Not Working by Lisa Owens | Daily Review: Film, stage and music reviews, interviews and more. 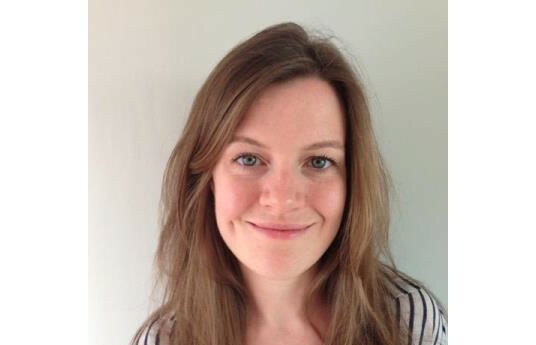 UK writer Lisa Owens’ debut novel is nothing if not a highly sought after book, sparking a bidding war between eight publishing houses. Its back cover boasts a litany of quotes from authors who praise its “comedy genius” and claim it pulls off the rare feat of being “insanely funny but also moving and true”. But the challenges of writing a book that relies on humour rather than character development, or on capturing a generational malaise rather than an interesting plot, are significant. Owens opts for humour and generational musings over an engaging protagonist and/or a meaningful story in this book that might struggle to entertain the wide audience it is seeking. Not Working, the story of Claire Flannery, has ample opportunity for both a strong lead character and a meaningful narrative. Claire has quit her job in PR to find out what she really wants to do with her life. So far, so good. Who hasn’t wanted to do something similar? But even at this early point, most of the character development and plot begins to slow down. Despite the early introduction of an engaging plot line — an unfortunate memory of her grandfather revealed in a drunken comment by Claire at his funeral — it is one of several promising factors that never gets fully explored. Claire, who is supposed to be an classically hapless generation Y member, never gets the treatment a self-absorbed millenial would demand. She remains a relatively shallow character both in her views and also in how Owen describes her feelings, fears and the emotional difficulties. Perhaps this is intentional; a statement of the emotional and intellectual paucity of Gen Y as seen by older generations. But if this is the case, the observations are more irritating than immersive. “Maybe I haven’t been working all day in the traditional, office-bound sense, but I’m still a person trying to get somewhere too,” Claire opines on her way from an empty day off catching up for drinks with a friend. We know Claire is hungry for meaning, unable to get organised or engage in much. She feels overweight and is worried about a pretty weed that is growing on top of the apartment she owns with her surgeon boyfriend, who she becomes increasingly unkind to as she grows more anxious. There are moments in the book when it is possible to connect with and even care for Claire, albeit briefly. In many ways she feels like the less funny younger sister of Helen Fielding’s wildly successful protagonist Bridget Jones, but without the broad appeal of that witty and deeply satisfying lead character. Leaving aside Flannery’s failure to recognise that most other people living in the world have grown up with a wide variety of alternative staple carbs, it is hard to engage with a character whose more interesting thoughts are throw-aways. Despite the limitations of Not Working, much of the prose is beautifully written and its consistency is impressive. Owens has attempted to make sense of a more disjointed world by breaking the novel into small sections, many shorter than a page, with a sub-heading, which suggests subversive approaches to writing long-form stories for digital native generations. One, titled ‘That’s the spirit’ in many ways serves captures the essence of the book itself: “In the park, a tiny dog trots by. In its mouth, a branch four times its size”. This comment also works to summarise Not Working; it’s a small and focused book that attempts feats significantly larger than it allows itself to achieve.